The 2019 Ford F-150 is nothing short of a phenomenon. It's not only the best-selling pickup truck here in America, the Ford F-150 is also the best-selling vehicle of any type whatsoever. Perhaps part of its appeal is the fact it can be specified in what seems like millions of different ways to suit just about any buyer? The problem with this and other Ford trucks having so many ways of personalizing them is it would take a very large book to list and explain all the different features. So, let's take a look at one of the specific areas, which are the safety features that are standard and available with the 2019 Ford F-150 pickup truck. Most buyers expect big, macho vehicles like the F-150 to be safe vehicles by their very nature, but it doesn’t hurt to check out the official safety ratings too. The feds at the NHTSA have awarded the Ford the top five-star rating for overall safety, but the IIHS hasn’t completed its full set of crash tests on the F-150 yet. However, it has gained the top rating of "Good" in all tests carried out so far so a Top Safety Pick rating or better is a distinct possibility. The majority of safety kit most of us expect to find standard on a car are also here in the Ford F-150. There's a decent complement of airbags in the base XL trim level, which also comes standard with the Ford Personal Safety System. The system includes safety belt pretensioners, safety belt energy-management retractors, safety belt usage sensors, driver’s seat position sensor, crash severity sensor, restraint control module and Front-Passenger Sensing System. AdvanceTrac with RSC (Roll Stability Control) and Curve Control is also part of the standard equipment. Towing is one of the main reasons we buy pickups, and making towing safer is a big area of focus for Ford at the moment. Even the base model comes with a rear view camera with dynamic hitch assist, trailer sway control, and the SOS Post-Crash Alert System. wipers and windshield wiper de-icer, reverse sensing system, quad-beam LED headlamps with auto high beams, LED taillamps and LED fog lamps. 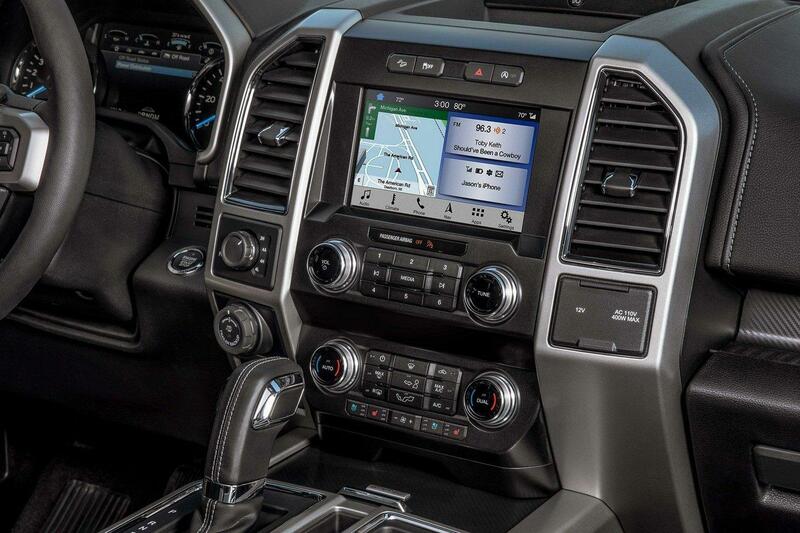 For more information about the standard and available safety features of the 2019 Ford F-150 pickup truck and to try them for yourself on a test drive, get in touch with us today here at Ford of Upland, your number one choice Ford dealer in Upland, CA.